As the Yankees continue to lay in waiting for the services of Cliff Lee, the Captain’s Blog continues the exercise of crafting a blueprint for the 2011 roster. In part one, I advocated a deal of A.J. Burnett for Carlos Zambrano, so now it’s time to turn to the offense. Brett Gardner’s hustle has made him a fan favorite, but it may be time for the Yankees to sell high (Photo: NY Post). One of the nicest surprises for the Yankees in 2010 was the play of Brett Gardner. According to fangraphs.com, Gardner was worth a whopping 5.4 wins above replacement. Regardless of how much credibility you place in WAR, Gardner was an above average offensive performer playing an all-world left field in 2010. Looking behind the numbers, however, one can see the beginning of a disturbing trend. In the second half of the season, Gardner posted a line of .232/.364/.330,which wasn’t much better than his performance in the second half of 2009 (albeit in many fewer at bats). Although some have defended Gardner’s second half swoons by citing the hand injuries he suffered in both seasons, that actually speaks to the concern. Gardner’s game is built upon speed and hustle, and that no-holds barred style has a tendency to wear a player down late in the season. Without any noticeable power, Gardner’s productivity rests solely on staying healthy and getting on base, something he hasn’t been able to do over the course of a full season. It’s been a while since the Yankees have seen the “fist pumping Joba”, so perhaps a change of scenery is in order? What more can be said about Joba? In the span of three seasons, he has gone from a potential top of the rotation starter to Mariano Rivera’s heir apparent to an afterthought in middle relief. Despite being only 24, it sure seems as if the ship has sailed on Joba’s days in pinstripes. Once again, however, we need to take a closer look. In 2010, Chamberlain’s nine-inning hit and strikeout rates of 8.9 and 9.7, respectively, were both impressive. Again according to fangraphs.com, his FIP of 2.98 suggests that the right hander was more unlucky than erratic. What’s more, Chamberlain also rediscovered some of his lost velocity in relief, increasing the speed on his fastball from 92.5 mph to 94.6 mph. The talent is still clearly there, but where are the results? 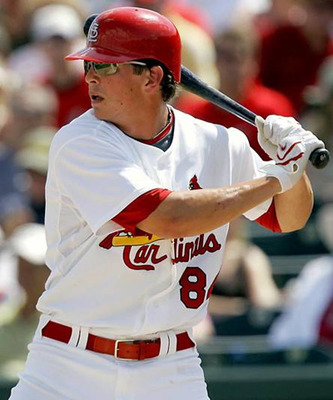 Colby Rasmus was drafted by the Cardinals with the 28th selection in the 2005 amateur draft (a pick awarded to the Cardinals as compensation for the Red Sox’ signing of Edgar Renteria). After being selected, he quickly shot up through the ranks of highly touted prospects before making his major league debut at 22 in 2009. Despite struggling in his rookie season, Rasmus was given the chance to start in 2010, and he rewarded the Cardinals with a line of .276/.361/.498 in 534 plate appearances. However, for some reason, the young outfielder’s relationship with manager Tony LaRussa went bad. As a result, it was reported that Rasmus demanded a trade. Although he later denied doing so, it was no secret that the tension between player and manager was real. Colby Rasmus’ left handed swing would fit right into the Yankees’ lineup for years to come. Although they would be selling low on a talented arm like Chamberlain, he may simply need a change of scenery. On the other hand, Gardner’s value may never be higher, so unless the Yankees believe he still has room for improvement at the plate, it might be time to cash in on his 2010 season. As the core of the Yankees’ offense ages, a commodity like Rasmus would be exactly what the Yankees need to replenish their lineup. Adding a left-handed centerfielder with power to a second baseman like Cano and catching prospect like Jesus Montero could give the Yankees an up-the-middle foundation similar to what they had in Bernie Williams, Derek Jeter and Jorge Posada at the start of the recent dynasty. Even if Gardner proves his 2010 was just the beginning of an ascent, and Joba rediscovers his earlier promise, adding such a component would still be well worthwhile. Once again, a big part of the rationale behind this trade stems from the rift that may or may not still exist between LaRussa and Rasmus. If it does, the Cardinals may have no choice but to put their talented young centerfielder on the market. Although there would be plenty of competition for Rasmus, acquiring two major league ready players like Gardner and Chamberlain (who combined had a much higher WAR than Rasmus in 2010) would probably be of interest to an older Cardinals team that will be seeking to resign Albert Pujols in the offseason. In particular, one area of desperate need for the Cardinals’ offense is at leadoff hitter (.306 OBP in 2010), and Gardner would certainly fit that bill. Meanwhile, with Dave Duncan as pitching coach, St. Louis could either mold Chamberlain as a starter or turn him into their closer, replacing the 37-year old Ryan Franklin. Because of the potential clamor for Rasmus, the Yankees might have to add a solid prospect to the deal, which shouldn’t be off the table, assuming it isn’t someone like Montero or Manny Banuelos. If that still isn’t enough to pry Rasmus away, Cashman would probably be better off turning to our second option. Before the start of the previous two seasons, one popular rumor was a potential trade of Robinson Cano for Matt Kemp. However, after the latter’s disappointing 2010 campaign, it’s hard to imagine both players in the same class. Not only did Kemp regress in just about every meaningful offensive category, but by most metrics, he also performed extremely poorly in the field. Adding further insult, Dodger’s GM Ned Colletti repeatedly criticized Kemp’s play, even insinuating that his commitment may have lessened after signing a new deal. In other words, the Dodgers, whose finances have been ravaged by a divorce dispute, may be very eager to part with Kemp, whose 2011 salary escalates to $7 million before heading to arbitration in 2012. Matt Kemp’s development took a step back in 2010. Could a rebound in pinstripes be in the offing? Like Rasmus, Kemp is still a young and talented centerfielder who could be a centerpiece on the Yankees for years to come. Unlike Rasmus, however, Kemp would be a buy low candidate, meaning the Yankees would face less competition from other potential suitors. Furthermore, Kemp’s higher salary would also make his acquisition more prohibitive to other teams. As a result, the Yankees would be the team demanding that a prospect be included in the deal. Of course, considering the dysfunctional state of the Dodgers, it might even be possible for the Yankees to steal Kemp without including both Chamberlain and Gardner in the trade, but for now, we’ll assume some level of sanity in LA remains. Even if the Dodgers were confident that Kemp would rebound from his disappointing 2010 season, the chance to acquire two cheaper players would still be compelling. Also, keep in mind that Don Mattingly was sitting in the dugout when Joba Chamberlain was dominating opposing batters in 2007. 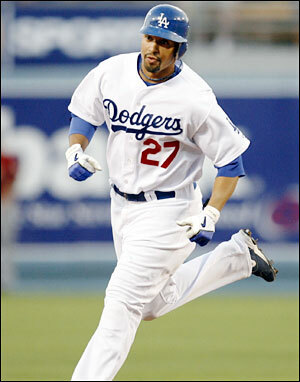 Therefore, the new Dodgers’ skipper may be more willing than most to take a chance on Chamberlain’s dominance returning. Brett Gardner and Colby Rasmus each have one more season of cost control left, while Chamberlain can go before an arbitrator for the first time this off season. Considering his near minimum salary and less than stellar performance in 2010, Chamberlain probably wouldn’t be in line for much of a raise. Matt Kemp is the only player with a price tag included in the two potential deals. In 2011, he will make $6.95 million, after which he has one more year of arbitration eligibility before heading to free agency. In other words, even with only a solid season, Kemp could be looking at a 2012 salary of around $10 million. would rasmus or kemp move granderson to LF? or would they play cf? Granderson played a pretty good CF, so I would be inclined to move either to LF unless something compelling convinced me otherwise. If Granderson doesn’t remain past his current contract, however, both would still be very young and capable of taking over CF at that time. It’s a good question though. I could also see the Yankees wanting to install either one in CF and keep him there for the next 10 years. I’d do Gardner & Joba for Rasmus all day every day and twice on Sundays; not sure I see St. Louis being quite as enthusiastic. Still, the trade might be a tad more even than it initially sounds — especially if the Cards presumably were interested in utilizing Joba as a starter — and you make a pretty strong case for it.